I spent a good half of my career trying to find my style. And if you’ve been in the business at all or are trying to get into it – you know what I’m talking about. It’s the question that echos relentlessly through every photography forum or any worthy photography workshop. What’s your style? Have you defined your style? Or in my case, Do you have ANY style? Actually, I think I spent half of my career resisting the whole “style” thing. I thought maybe, just maybe, I didn’t have to have just one style. Maybe I was the exception. Maybe I was a woman of too many visions and too many talents – haha, riiiiiight?!?!?!?!??! Or maybe I was being lazy. Or just plain stubborn. Everyone finds their style in a different way. And I’ve learned over the years (at least for me) – that someone’s style really just comes down to confidence. Confidence I tell you! When you have true confidence in yourself and your art – then you have style. When you have the confidence to say,“These are the types of photos that I take and I know exactly how to create them – every.single.time.” That is style. That is confidence. When the 50mm 1.2 lens entered my life 6 years ago – I found my style. Never limit where, when or how you might discover or find your niche. I never really thought a lens could help define me or my business – but it did! 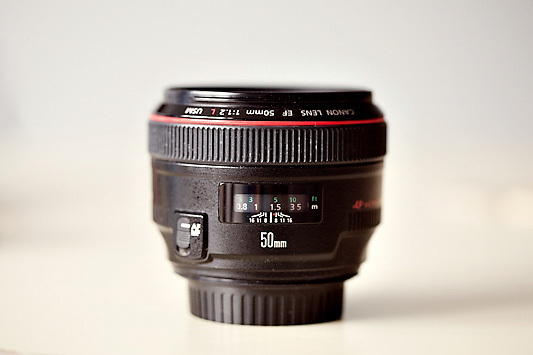 The 50mm 1.2 became my eye to world. It enabled me to tell the stories that I wanted to tell. 50mm was the perfect focal length, it allowed me to include elements in the story that were essential (to me) and simultaneously exclude elements that I didn’t want. It wasn’t too long or too wide for my vision. It was perfect. But, what I really loved was the freedom that it gave me to shoot wide open. My sweet spot falls at about f1.8. There is nothing I love more than a backlit portrait at f1.8 mixed with a healthy dose of some raw emotion. That’s my style. And I can create it and do it – every single time. I have confidence in that. I can honestly say that for my wedding and portrait shoots, I use my 50mm 1.2 lens 85-90% of the time. Now, at weddings I will have a second shooter getting close-ups, wide shots, etc. (to make sure that everything is covered). But, I have come to know that my strength is in what I can capture with the 50mm. So why fight it? Sooooo…I have to ask?!?!?? What’s your style? And how did you find it? Or are you still looking (because that’s o.k. too)? Thanks so much! You’ve inspired me. My 50 mm is the one that always gets left behind in the bag. I never cared for the fixed focal length…but I know I’ve lost out on that very cool 1.8f as a result….but now, because of your post I’m going to force myself to try it again. I’m going to stick it on my camera and not take it off until we’re friends :). Oh good! Once you decide to LOVE it – you’ll become a fixed lens snob (just like me). 🙂 Let me know how it goes! A friend recommened a simmilar lens (50 mm, 1.8) to me prior to my son being born. I love it and love the results! However when I bought it, the man at the Store mentioned it works better when using it in Aperture Priority mode, so that is what I have been doing. Can I use it effectively in maual mode? Why did he tell me this? Hey Erin! The lens will work equally well in any mode – he probably just thought aperture priority would be easier. And it is a great place to start when you’re learning your way around the camera – but I would definitely give manual a try! Let me know how it goes! I use my…(lemme make sure I know which one I’m talking about)…50mm 1.8 lens mostly, as well. Love the shallow depth it provides. I often have trouble getting absolute sharpness on my focal point (probably from repositioning, but not always from that). Any suggestions? This morning I just discovered back-button auto-focusing. I imagine that will help a fair bit. Thoughts? I actually don’t use back button focus – but I know a LOT of people that do! Some people swear by it, so it’s worth a try. 🙂 Are you shooting wide open a lot? Honestly, when you’re shooting an active little subject at 1.8 – a lot of your shots are going to be out of focus. The focus range is so small, that it’s really tough to actually grab the focus. So I always shoot some at 1.8, but if my subject is running or playing or moving around a lot – I will close down to around 2.8 – then my ratio of in focus shots always goes up. Let me know how it goes! Thanks for all your helpful, easy to understand tips and tricks! I have a renewed excitement and interest since reading your posts. I am not familiar with the 50mm lens and was wondering if you could post some shots that you have taken with it? Thanks again!! Affirmatif, pourtant photographe depuis 42 ans, je possède l’intégralité des objectifs avec le temps, mon dernier racheté en janvier 2018 est un nouveau 50 mm f/1,4, j’avais déjà un 50 mm f/1,8 de chez Pentax il y à 40 ans. il est l’objectif à avoir dès le début en réflex, on vous fourni un 18/55 mm avec le boîtier, après acheter ce 50 mm, idéal pour le portrait, la photographie de rue, la macro photo, je vous recommande une marque fabuleuse. des modèles avec moteurs et autofocus, un prix souvent beaucoup moins cher surtout. Indispensable simplement pour tout bon photographe.